¿Are you looking for a rubber flooring for weight rooms? 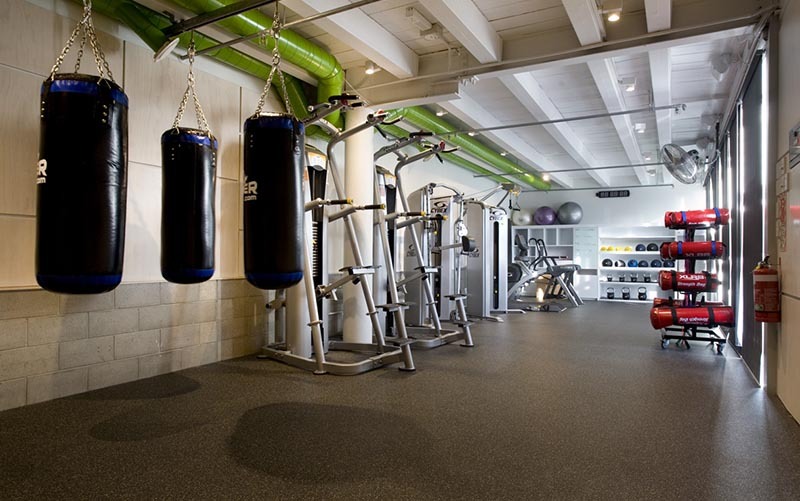 If you are looking for a resistant and durable floor for your gym, we suggest you our rubber flooring Energy. This flooring is ideal to install in gyms, fitness, pilates and weight rooms due to its high resistance to impacts and abrasions. It has a compact surface that makes it an everlasting sports flooring. And also, it is nice to walk on. Rubber has a high friction coefficient in both dry and wet, which gives this floor a non-slip feature. It also offers excellent noise reduction, especially in a gym, where weights might fall down and make a lot of noise. 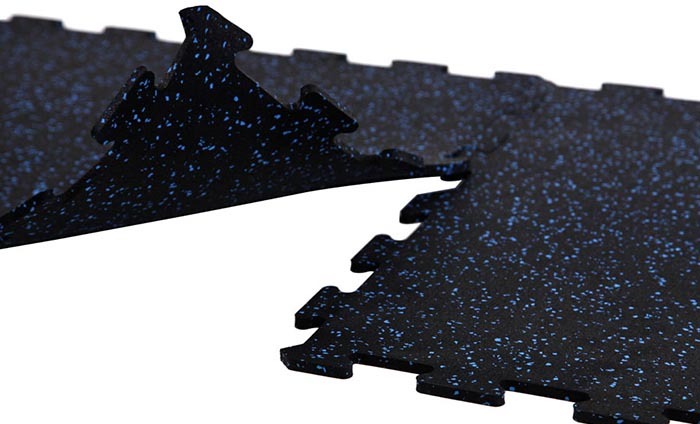 This flooring is compounded of 80% black recycled rubber and 20% coloured EPDM rubber forming blue, grey or red speckles. It is very easy to install. Tiles installation is very fast thanks to the interlocking system. It is not necessary to apply glue. Rolls can be glued down with adhesive or fixed with double-sided tape. 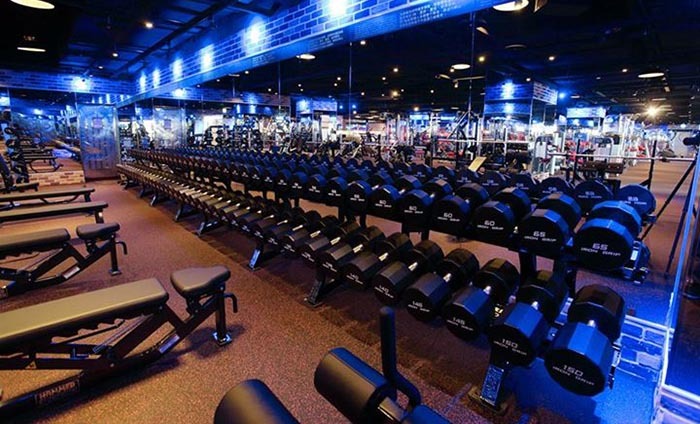 The modern aesthetics will enhance the look, feel and life of your gym. The joints are almost invisible. As the surface of this rubber flooring is very dense, cleaning is simple and inexpensive. 5mm: available in 1,25x15m or 1,20x20m rolls. 6mm: available in 50x50cm tiles and also in 1,25x15m or 1,20x20m rolls. 8mm: available in 50x50cm tiles. We have made several and successful projects installing this sports rubber flooring. For instance, a very well-known gym in Terrassa (Barcelona – Spain) and another gymnasium located in Normandy (France). We have installed Energy flooring in weight rooms in both gyms. We hope you enjoy the new video!